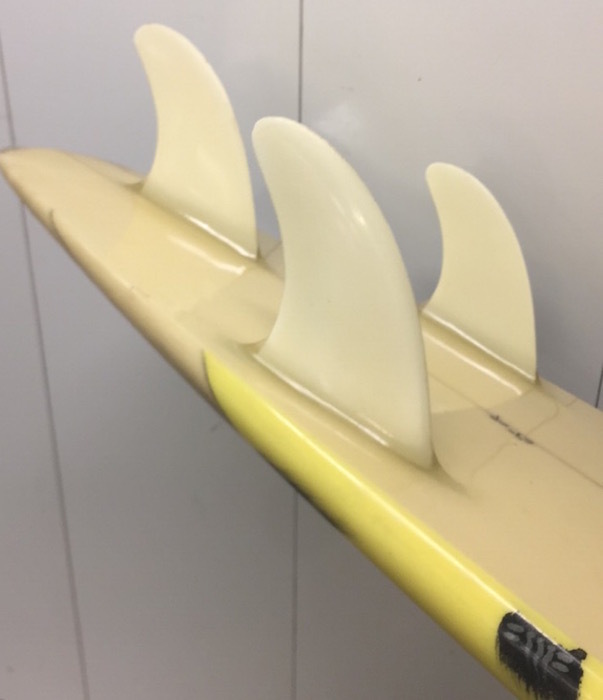 6’1 Ocean Pacific (Op) thruster with retro air brush shaped in the mid-late 1980’s. 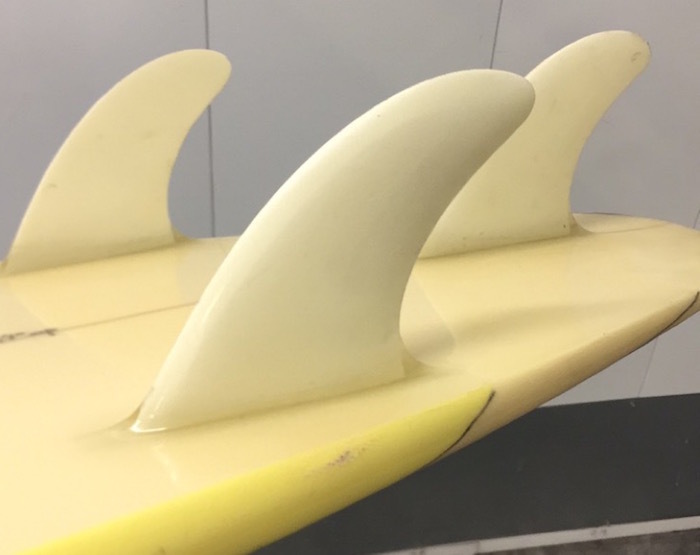 This vintage surfboard is in good all original condition. Ocean Pacific: Southern California–based surf wear company founded by San Diego surfboard shaper Jim Jenks. Ocean Pacific was originally the name of 1969-launched surfboard line out of Cardiff, San Diego. When Jenks bought the small company he was working as a sportswear rep to surf shops up and down both American coastlines. 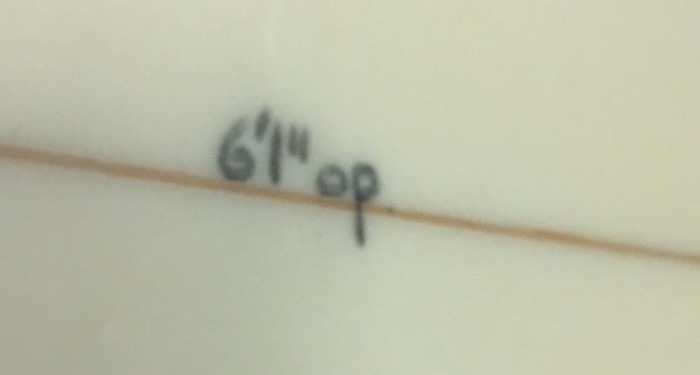 Launching Ocean Pacific Sunwear in 1972, Jenks continued to use the “Op” surfboard logo. Ocean Pacific did $50,000 in sales its first year, and by 1974 with the company’s high-cut corduroy walkshorts had become a ubiquitous American surf fashion item. A full line of beachwear and apres-surf pants and shirts followed. Although Hang Ten, in the mid-’60s, was the first surf wear company to cross over the mainstream, Op was next, and put up bigger numbers. 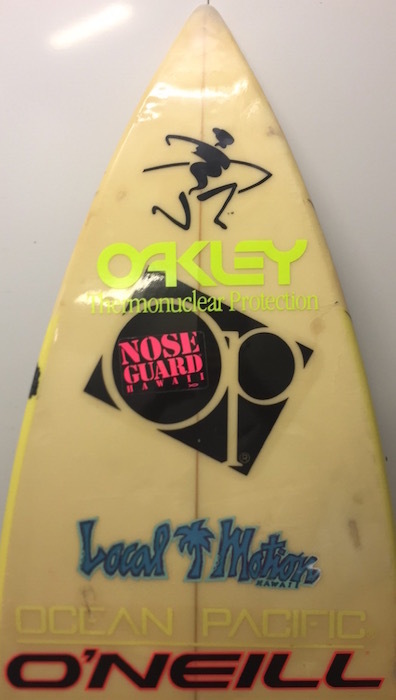 By the late ’70s, however, newer surf wear lines—particularly Australia-based Quiksilver—had made Op obsolete among trendsetting surfers; Jenks had by then placed Op into department stores and was licensing the name out for other products and other active-wear sectors. Op sales in 1979 were $40 million, bigger by far than any other surf wear manufacturer up to that point. 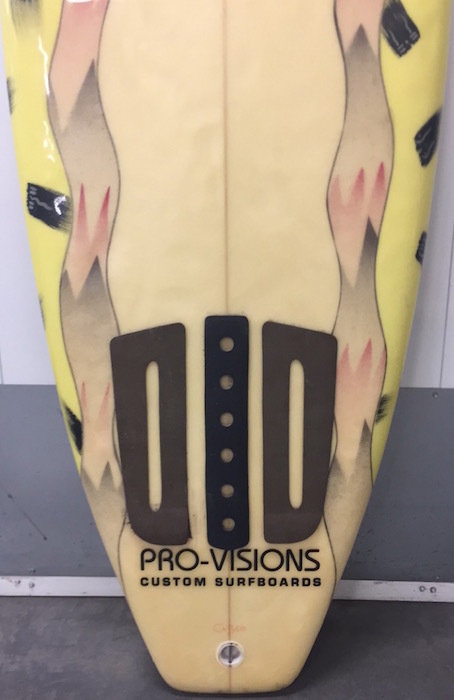 Looking to keep its connection to surfing, Op became the primary financial backer of the world pro tour in late 1982, the same year it first sponsored the Op Pro surf contest in Huntington Beach. Op sales continued to build through the ’80s, peaking at $370 by the end of the decade. By 1990, the LA Times reported that “about a third of all ‘California lifestyle apparel’—as clothes for surfing, volleyball and skateboarding are known—carry the label of OP or one of its subsidiaries.” In 1992, however, the company filed for bankruptcy. Op changed ownership several times over the next 15 years, most recently when the Iconix brand group purchased the company in 2006. In 2007 Op granted exclusive sales rights to Wal-Mart. 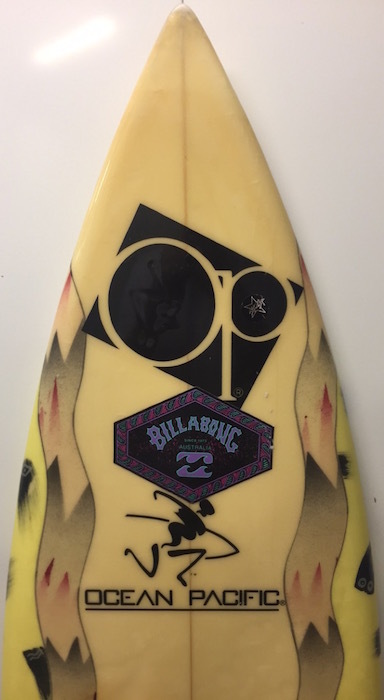 Op sponsored a number of high-profile surfers over the years, including Larry Bertlemann, Tom Curren, Gary Elkerton, Todd Holland, and Tim Curran.